Offering you a complete choice of products which include synthetic adhesives. 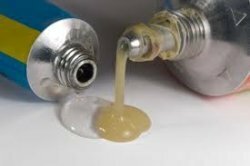 We are counted amongst the leading companies involved in offering a wide assortment of Synthetic Resin Adhesives. These can be used for bonding two materials. We formulate these using best quality ingredients and advanced technology under the supervision of our highly skilled professionals. Additionally, these can be availed at industry leading prices.